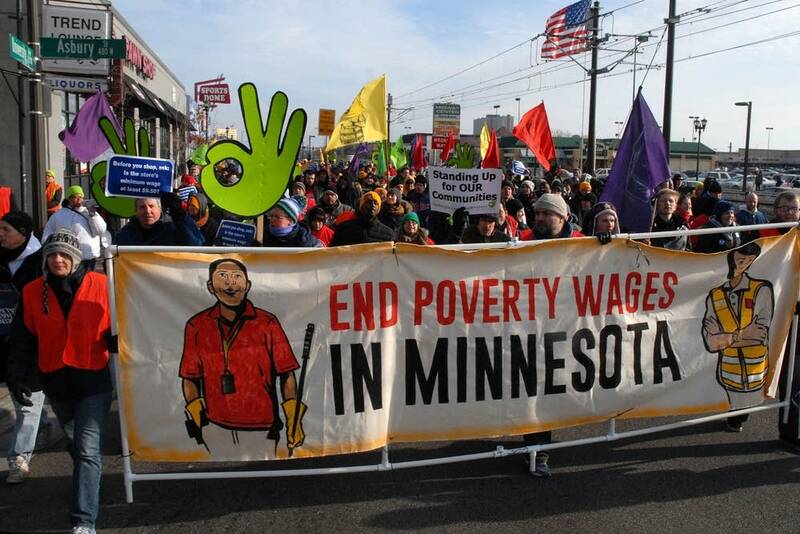 Hundreds of people marched down University Avenue in St. Paul's Midway neighborhood Friday to protest low pay for retail workers. 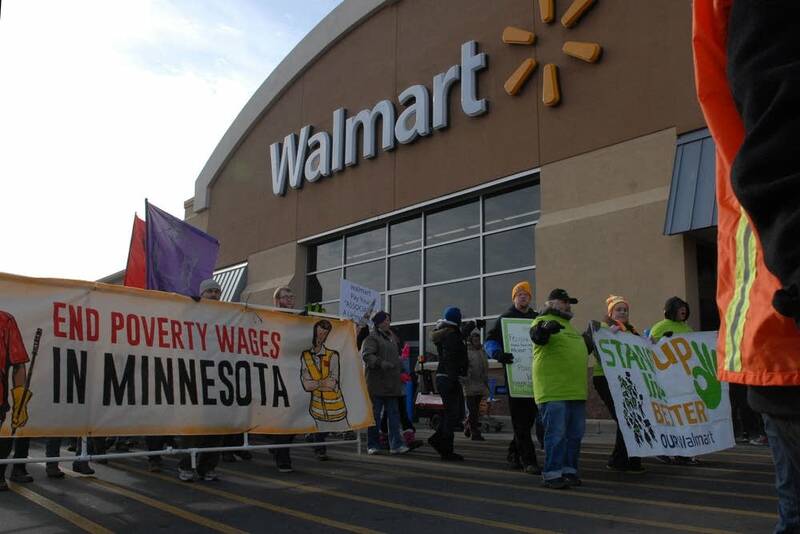 The demonstrators marched through the area, including the parking lot of the St. Paul Walmart store, in a demonstration calling for better worker wages and a hike in the state's minimum wage. The rally stopped traffic on University Avenue and ended with a sit-in at the intersection of University and Snelling Avenues. Maricela Flores cleans a Target Store in Shakopee and was one of the demonstrators. She spoke through an interpreter about working for big-box retailers. "We want them to contract with cleaning contractors that pay a fair wage, give their workers benefits and who take responsibility for their workers," Flores said. 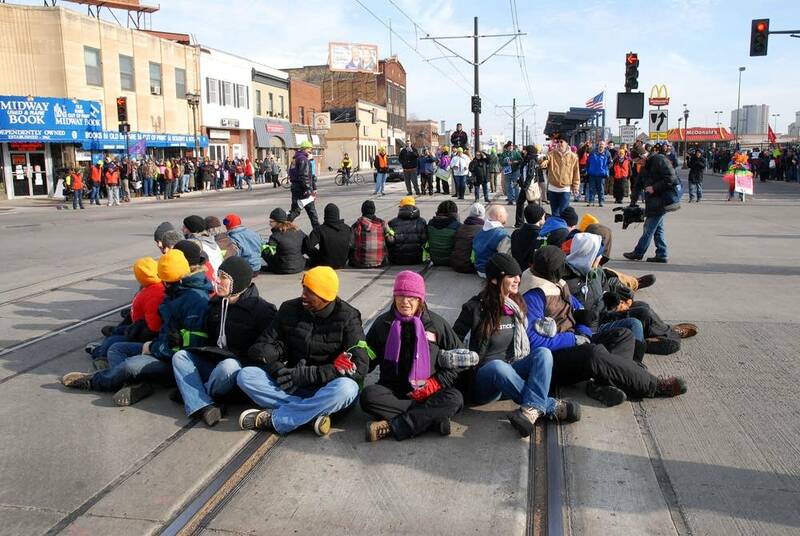 Police arrested 26 people who were blocking traffic at Snelling and University. Authorities said the protest was peaceful and that those who were arrested got misdemeanor citations and were released.